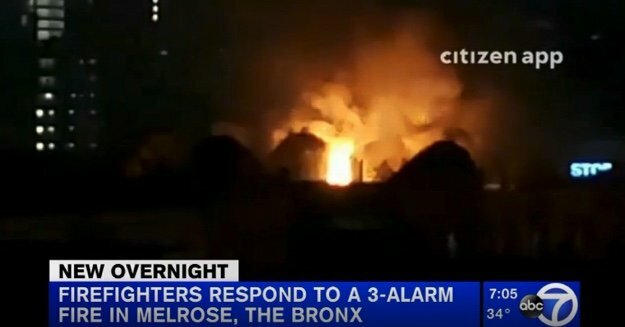 Firefighters battled a fire at an apartment building in the Bronx early Sunday that forced dozens of residents out of their homes. The 3-alarm blaze started around 3:15 a.m. on the fifth floor of a six-story building on East 163rd Street in the Melrose section. It was placed under control nearly two hours later. The fire burned through five apartments. Three firefighters suffered minor injuries.